There have been quite a few positive responses to my ongoing series ‘Feed My Brother!’, an ode to all eats simple to prepare and delicious to eat. Yippee! One response in particular suggested changing the name to ‘Feed Brian’. Of course this suggestion came from one called Brian, a colleague of my boyfriend, whom I’ve been recently drive-by feeding at their office. I told him the name needed a little finagling but we could work on it. 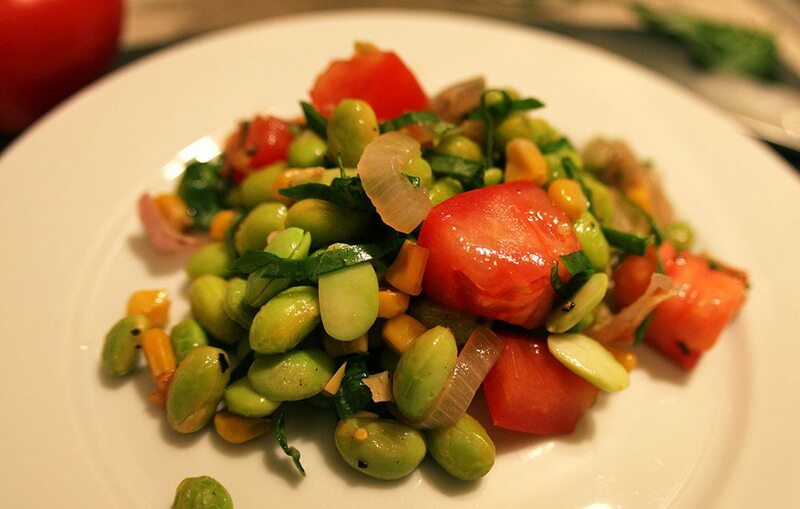 What seems to be his favorite food drop is a salad of edamame I found via mad food scientist Alton Brown. Here’s the quick recipe for a salad that is addictive enough to develop a habit, and only requires one dish to make the whole thing! So it definitely falls into the the ‘Feed My Boyfriend’s Colleague’ column. The name still needs work. Preheat oven to 400F. 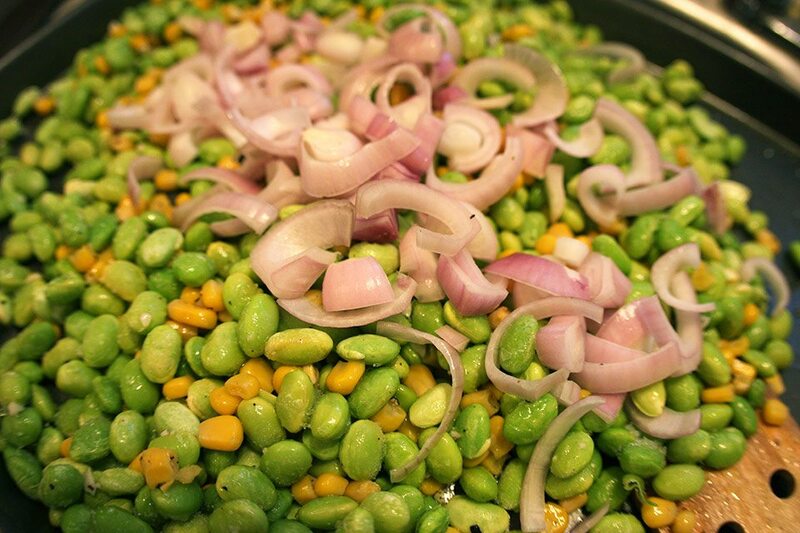 Mix edamame, corn, shallots, garlic, oil, salt and pepper on a sheet pan or cookie sheet and spread out evenly in one layer. Bake for 10m. Toss the edamame. 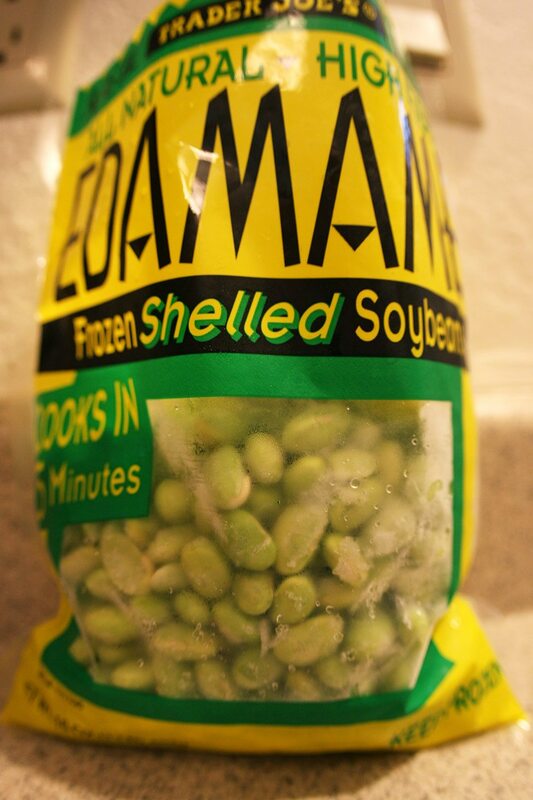 Bake for another 5m until edamame are browned slightly. Cool. Once cool, toss with tomatoes, vinegar and basil. Eat! Note**I normally make 2x because it disappears so quickly. For a double batch, bake for 15m. Toss, then bake for 5m.